•Kendrick Bailey, 41, of 203 Hahn St. in Hahnville was arrested on Feb. 14 and charged with theft valued less than $750 and prohibited rug paraphernalia. •Bobby Isaac, 51, of 781 Landers St. of Bridge City, was arrested on Feb. 17 and charged with theft of goods, display plate, and renewal registration suspended driver’s license. •Shane Ruberstell, 29,of116 Morning Glory Lane in Waggaman was arrested on Feb. 21 and charged with theft over $25,000. •Catherine Harvey, 31, 332 Boutte Estates Drive in Boutte was arrested on Feb. 13 and charged with second degree cruelty to a juvenile. 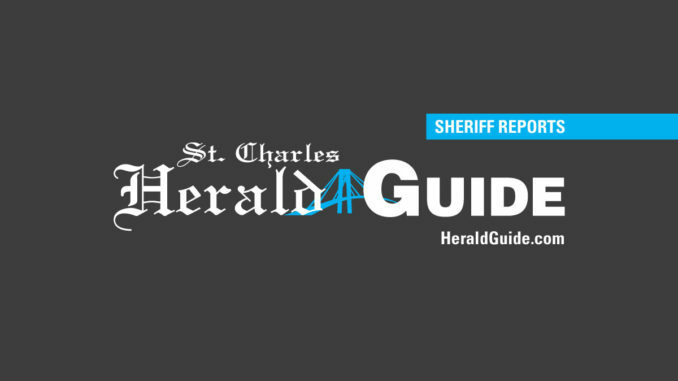 •Thomas O’Conner, 58, of Hesper Ave. in Metairie was arrested on Feb. 22 and charged with driving while intoxicated, reckless operation of a motor vehicle, and open alcohol container in vehicle.